Any driver who is convicted of a moving violation will be assessed points for each conviction in accordance with the N.J.S.A Point Schedule. 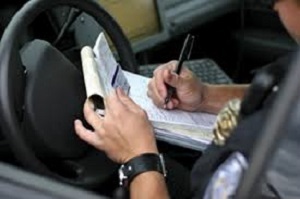 Some tickets require a mandatory Court appearance, while others may simply just be paid. This will depend on the type of ticket you receive. If you are given the option to just pay your ticket(s) and chose to do so, you will be assessed the points each ticket carries, and your matter will be concluded. Although this might be your quickest solution, it often is not always your best or cheapest option. Points typically will increase your insurance premiums, and may also lead to a loss of license. If you accumulate 6 points in New Jersey, you will be placed on probation, and forced to pay a surcharge to the State. If you accumulate 12 or more points your license will be suspended for a period of time. If you appear in Court and just plead guilty to the ticket(s) you could face the maximum fines, penalties, points, surcharges, fees that are associated with your violation. You will lose all your rights and options, and must accept whatever punishment the Judge deems appropriate for your violations. If points are issued, not only do you face fines from the State of New Jersey, but you also risk having surcharges and rate increases from your Insurance Company. If you plead not guilty, not only do you have the right to a trial, you also have a right to try to enter a plea bargaining agreement to lessen the charges. Even if you are guilty of the charges issued, you still will be able to try to reduce or eliminate the points and fines that might be assessed. This occurs if you can reach a plea deal that is recommended by the Prosecutor, and approved by the Judge. (b) For good cause shown, the Director may in his discretion permit a person to attend a driver improvement course of the Division of Motor Vehicles in total or partial satisfaction.